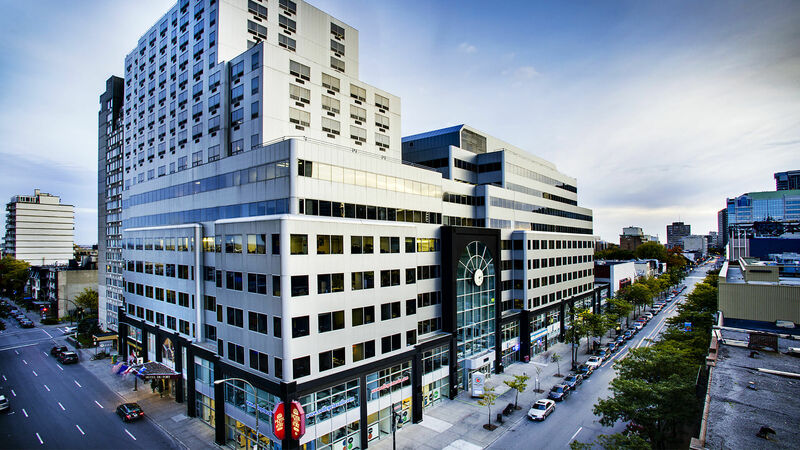 Founded in 1997 as MILC, Languages Across Borders (LAB) in Montreal is a member of the LCI Education network and shares a modern campus with LaSalle College and Inter-DEC College in downtown Montreal, one of Canada’s most vibrant and affordable cities. This campus is conveniently located in a lively district known for shopping, multicultural restaurants and cafés—all within walking distance to the metro, Montreal’s subway network. Montreal was inhabited for 2,000 years by nomadic aboriginals before the French explorer Jacques Cartier discovered the island in 1535. Nearly 500 years later, 1,900,000 people live on the island. LAB Montreal specializes in English and French language courses, accredited by Languages Canada and also offers a variety of part-time courses in other international languages. The ideal program for students who want to improve their overall English- or French-language proficiency for general purposes and have the confidence to communicate effectively in daily life. This course is ideal for students who would like time to settle into Montreal life before moving up to other classes. In this course, students learn to communicate quickly and effectively as classes focus on the four most important aspects of learning a language: reading, writing, listening and speaking. Students can enroll in English or French language courses at any time of the year; full-time courses range from four weeks to 50 weeks. New students receive placement tests at the beginning of each month. French courses from 1:00 p.m. to 5:30 p.m. Full-time courses 50 weeks of the year! Make your language trip effective and unforgettable! Combine language courses in the morning with one or two vocational courses at Inter-Dec College in the afternoon! At these institutions, you can study a wide range of disciplines, including: Interior Design, Graphic Design, Video Games, Artistic Make-up, 2D/3D Animation, among others. Besides general language courses, this program helps students make the transition from qualifications gained in their home country to those required to begin or change a career. I arrived in Montreal six months ago. I thought it was a beautiful city, multicultural, and rich in history. I decided to study French at one of the best schools and I chose LAB. I am very happy with my choice! Je suis arrivé a Montréal il y a six mois. J'ai trouvé que c'était une ville magnifique, multiculturelle, et riche en histoire. J’ai décidé d’étudier le français à l’une des meilleures écoles et j'ai choisi LAB. Je suis très heureux de mon choix! The teachers will be very happy to hear that. Thanks for taking the time to share your opinion!